My Yom Kippur Reflection by IFFP Member Jill Bernstein | Interfaith Families Project of Washington, D.C.
My name is Jill Bernstein, I am Christian, I was raised in the Catholic faith. This is my 18thYom Kippur where I’ve had a significant Jewish influence in my life, namely my dear husband Josh. When I started going to Yom Kippur services many years ago with Josh and his family in Boston, I found the services to be beautiful. I loved the Hebrew, the music, and the prayers. But I still found Yom Kippur to be challenging. It was hard for me to relate to the meaning of the holiday and even a bit baffling. Even Rosh Hashanah as the new year is a holiday that I could relate to fairly easily. But Yom Kippur is different, at least on the surface. As a Catholic, the way that I related to Yom Kippur initially was to compare it to confession. Okay, I figured, this is like going to confession, except you save it all up and do it once a year and call it a holiday, which if you’ve ever been to Catholic confession you’ll see my confusion. Confession is simply not treated like a holiday in the Catholic Church. 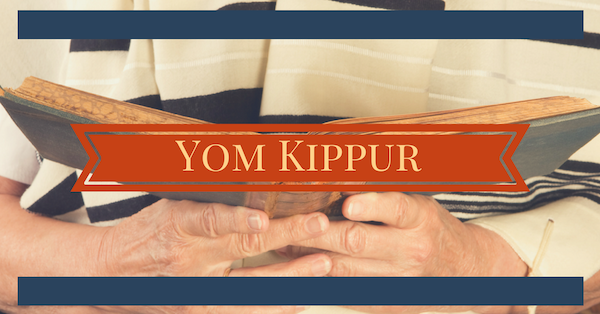 After attending Yom Kippur services for many years, I still have a lot to learn and understand. But, I can say now, that I am in awe of Yom Kippur. What a gift Judaism gives us by prompting us to do this deep, spiritual housekeeping once a year?! This sort of spiritual work isn’t common in our culture, and I think that’s why it isn’t an easy holiday for me and maybe others to relate to, even now. But if we can really do what Yom Kippur asks of us, the rewards are incredible. It really is time to care for our souls and relieve ourselves of some of the baggage we carry. This care for our spiritual well-being is the core, the essence of what religion has to offer in our lives. It is no wonder then that Yom Kippur and Rosh Hashanah are considered the High Holidays. The other holidays that focus on historical events are actually secondary in that sense. As I was reading about the term, Atonement, I read that you can break up the word Atonement as “At one ment”, being at one with oneself. So here I am 18 years along and I really can’t think of a better basis for a holiday or celebration than that!